Over the summer holidays I posted a picture of our “new” chicken tractor on instagram and facebook which attracted a lot of attention. I say new because Country Boy made it (with the help of my brother in law), but he used a whole lot of recycled materials he has stashed behind one of the sheds. 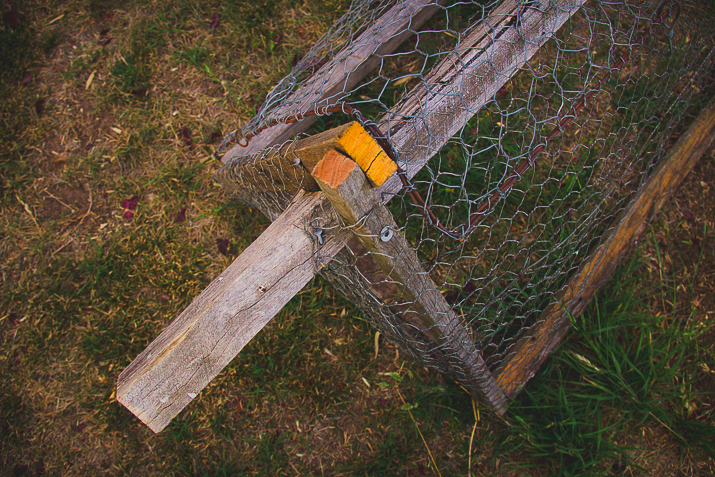 A chicken tractor is really just a smallish cage which you put a few chickens in. 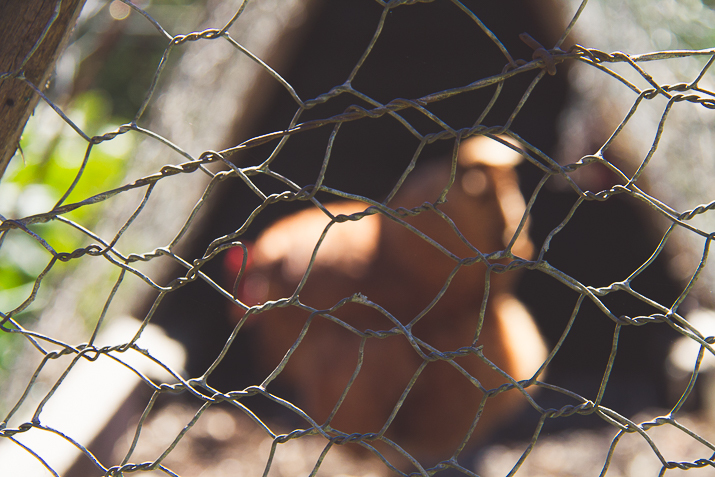 The cage can be moved around every day or two so that the chickens get to peck around some fresh grass and bugs. 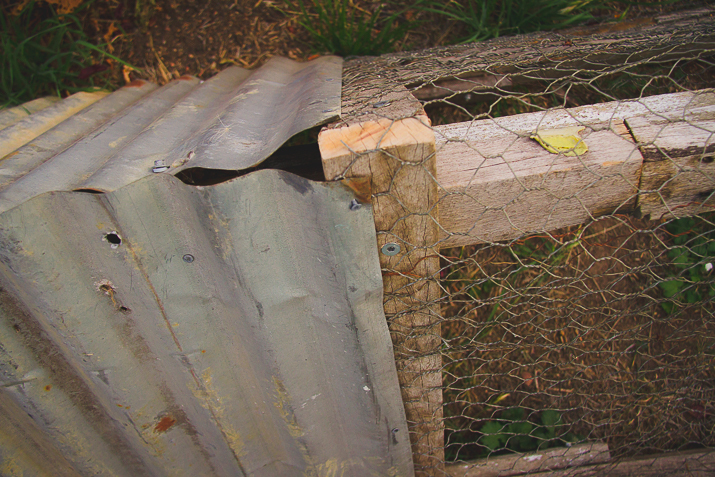 As you can see, it is really just a wooden A frame with some chicken wire over the top and some corrugated iron down one end to provide some extra shelter should the chickens want it. 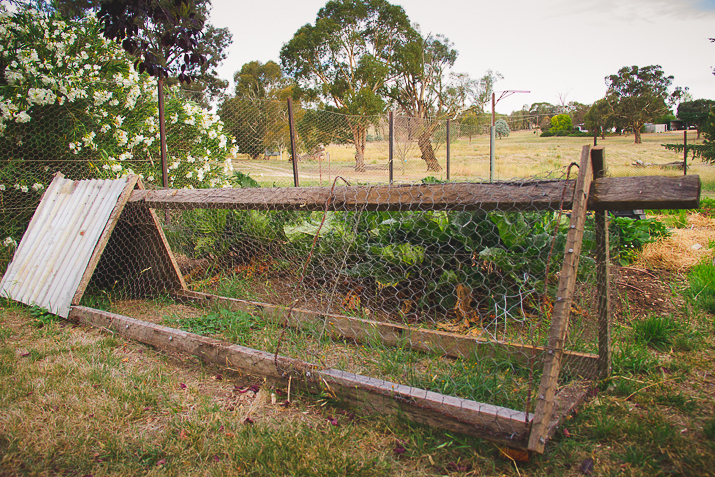 We are using our chicken tractor as a strategy to help manage pests and renew the soil in the garden. 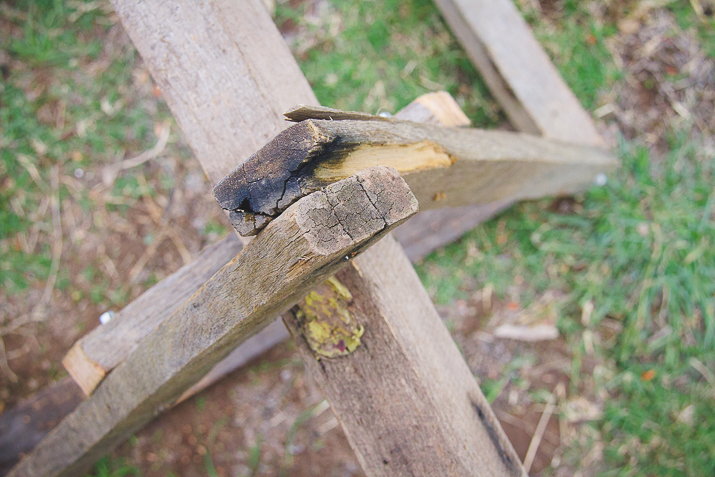 Country Boy designed it to be the exact width and length of a row in our garden (600mm width by 2400mm length). The tractor isn’t exactly lightweight, but two adults can move it fairly easily. We place it over a row of the garden and pop two chickens in it. The chickens dig up the soil, eat any bugs (hopefully the earwigs that were crazy earlier this year), and fertilize it a little before we plant a new crop. 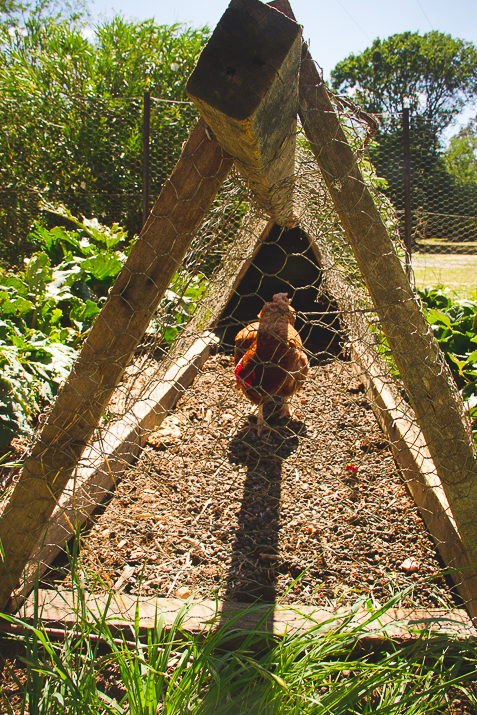 Of course we have quite a few chickens, so our chicken tractor is not for keeping the chickens in all the time. The tractor has a water container so the chickens can drink when they want to. We rotate the chickens through so they only spend an occasional day in there. Meg, our chicken whisperer, catches the chickens and puts them in and takes them out for us. The chickens seem quite happy in there, and even lay an occasional egg in the covered end of the tractor. What a great idea! They not only turn over the soil but fertilise it too! Brilliant idea! Our chickens normally free range. We pop them in for a day and take them out again at night. They lay the egg happily on the ground. I haven't used one but certainly knew of them. 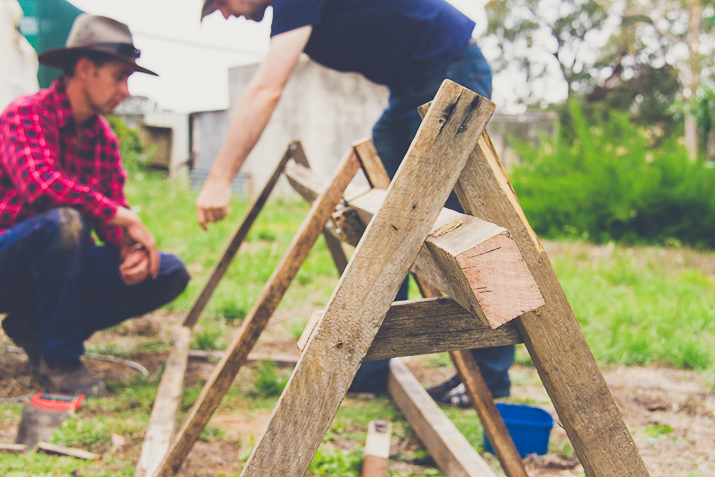 A few years ago those made with new materials were rented out to people in the suburbs who wanted just a couple of chooks but had no space for a shed.